Influencer relations has become of higher priority to the luxury sector than traditional media relations according to a survey of members of the Luxury Communications Council (LCC), the community of comms and marketing experts from the luxury industry. The report also found that comms departments now tend to control luxury brands' social media strategies; and that there had been an explosion in the production of in-house video content and mobile comms. "Influencer relations and social media are run by the comms department and are fast becoming a core ingredient in our whole strategy," said Danny Brennen, PR and communication director for Laurent Perrier. Katherine Roach, Graff’s head of marketing and PR worldwide, said: "Image-driven social media platforms, Instagram in particular, now form an integral part of our comms strategy. We find that this platform provides an effective window into the unique nature of our business, which is focused around regular unveiling of one-of-a-kind jewels featuring rare and important diamonds." But the survey did reveal major concern over the impact of Brexit on the UK luxury industry; more than half believed it would have a negative effect, with only one third viewing Brexit as a positive development. 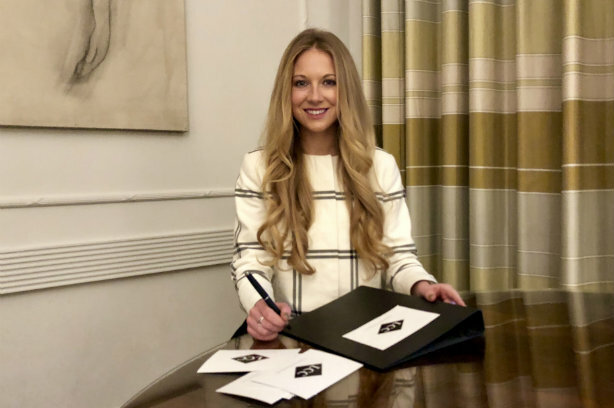 "Brexit has made things uncertain for many industries and the luxury industry is no exception," said Danielle Stroud, head of marketing at luxury venue Hedsor House. "We do expect to see a slowdown in lavish events as British businesses tighten their belts due to uncertain times again." Ninety-five per cent of respondents said China and the Chinese market had become more of a focus for them. Almost half now retain PR agencies in China or Hong Kong for this reason. LCC quizzed 30 of its core members, all UK-based, including communications and marketing bosses from global and British brands such as Boodles, Net a Porter, and Four Seasons Hotels & Resorts. Luxury comms executives are generally bullish, with 80 per cent saying their budget had increased over the last three years. All respondents reported that their role had "expanded substantially" in the last five years with the digital revolution. The vast majority said their department increasingly led their employer’s campaign strategy. Despite the digital revolution, all but one respondent said 'face-to-face networking' remained core to their roles. The LCC survey was created in conjunction with PRWeek. The two organisations are developing an LCC/PRWeek Power 30 to identify the most influential luxury communicators in the UK, covering fashion, beauty, hospitality and luxury goods. This report will be launched in Spring 2018 at a VIP dinner. Rosie Shephard, founder of the LCC and group comms director at Rocco Forte Hotels said: "In times of such drastic technological, sociological and now political changes in the UK, the marcoms role, and tools at our disposal, is evolving faster than ever. "It has therefore never been so important to share knowledge and best practise amongst the elite in field. The luxury industry boasts some of the great marketing and communication minds in the UK. The Power 30 project will bring them together in a new format." Shephard launched the group at the start of 2017. Why are advertisers avoiding rhyme when it's not past its prime?